Flashes are passing before us. They are sounds, lights, people, speeches, noises. The physical senses are always connected to life in matter. They will not let us sit still. There is no way to turn them off, for they are our own natural protection before life. But with every experience there is a possibility of connection to the other side of life. With each breath, with each speech, we have the opportunity to have the liberating look. We can cling to all these noises, these experiences. But we can also become observers of life. As if all this passed before our eyes and we were protected to observe, from a good inner silence of feeling, healthy to be together. And often this is not the way. This silence seeps into the noise of life. We are dazzled by the opportunities of life. And this craving often generates more noise inside than any outside noise. When we project our conditions of happiness, when we carry our faults of the past, when we do not free ourselves from everything that is external. We live like this in the face of external noise, with an even greater inner noise. How can we not doubt in the immensity of possibilities that life in matter presents? How can we not be unsettled by the great chances of being happy? Life is full of truly transformative opportunities. At every moment so many possibilities of elevation are placed before us that we remain truly astounded by so much life, so abundant life. So we are always open to receive, this act of receiving consists in not clinging to beliefs and standards, but opening ourselves to the new every second. Each moment is formed from a small void that we have at the arrival of intuition. And then the new ideas fill the space that should be of certainty. Certainty then gives way to doubt. But this doubt is silenced by faith, clarity, and trust. The confidence that when we are open to receive and let the awakened consciousness bring us the most beautiful moments of inspiration, we will be guided on the road that will bring the state of completeness and detachment from matter. This detachment is nothing more than the release of all that we think we are, until a moment when certainties are dissolved before an infinity of possibilities that life brings. Yes, there are infinite possibilities that show the being, day by day, of what life is composed of. After all it is composed of miracles! Known by miracles are only the moments of inspiration, where we give place to that idea that was present, but did not have place to fit in us, we did not open to inspiration, to the elevation of our consciousness. And then when we allow this consciousness to expand, and expand so that it never returns to the initial state, it is a path without a return. This path, my dear children, is nothing more than the process of ascension, which is understood by stages of full happiness and joy, of inner completeness, of lightness and certainty that no longer does the ego need to be reaffirmed; Personality, but the certainty is only that the next minute will also be filled with beauty and opportunities, lightness and sweetness, joy and more confidence that life will always be full of surprises. That you do not need to plan, control or ramble on possibilities. That just needs to deliver. Surrender to the magnitude of God, and then surrender to the wonderful cascade of joy and peace that will always bring us. This detachment brings abundance, peace, completeness and love. It brings everything that is the object of the search for so many of you, my dear children, and that has always been available. But it is observed and felt only by those who left the empty space to be filled with all the abundance of God. So, beloved ones, you come to belong to the whole, to merge with life, to feel the completeness and state of One with life. You unite with the I AM in your highest representation, which is reflected in all forms of manifestation of materialized life or not. You are all One. Let us enter into the reality of light and love available to all, let us drink of the nectar of the Source of Light and creativity. Let the consciousness expand and involve us with a new reality that will come to form, free of beliefs and dogmas. Free from certainties and personality. Thus the detachment of matter and the state of suffering will open doors to the ascent of being. There is the possibility of not being the noise, of not infiltrating the flashes, the speeches, the fears and the yearnings. It is becoming the emptiness that is the All, which is Everything. And be the omnipresent observer, who observes, in his emptiness, life. 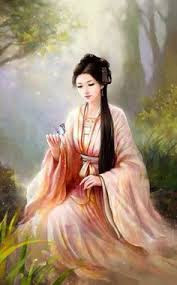 It does not cling to the dramas, it is not attached to anything, but it allows life to be conducted with each new connection, each breath as an intuition that appears and opens new possibilities of connecting to the world. With each noise there is a breath of inner abundance that rises and transcends all these flashes, these lights, these lines, all the seduction that life brings. This seduction is no longer allowed to become more noise, but rather it is the silence that integrates itself into life, which observes and connects to the inner emptiness that through intuition creates new ways of experiencing all this life, all that Present before your eyes. And so life is made, in connection, free of constraints, empty, but connected to the whole, following every breath the happiness that the Creator gives us. In this state we can renew ourselves. We are facing life. This is the one true freedom, of the one who lives, but does not suffer, because it does not get involved, but at the same time it belongs. This is the only way of not suffering with doubts, with longings, is to connect with the immensity of possibilities of being happy, but keeping the emptiness so that intuition can be the conductor of life, with freedom every second, every minute, where everything is always open, always renewing, changing. This is the only way to connect with the abundance of God, of creation, and of everything that exists. Messengers: Michele Martini and Thiago Strapasson - August 23, 2017.